Berkeley's Ajanta has earned its loyal following with a creative, ever-changing menu of regional Indian specialties. 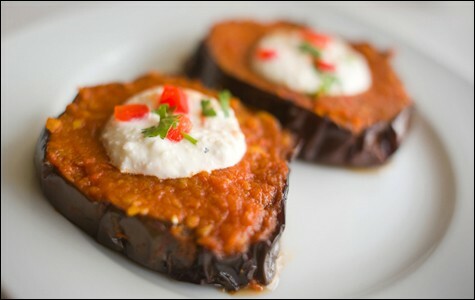 The pan-fried slices of eggplant were topped with an intensely spicy tomato sauce. Hours: Daily 11:30 a.m.-2:30 p.m., 5:30 p.m.-9:30 p.m. I'm the son of thrifty Chinese immigrants, homebodies who rarely ate out. The few times we did go out for dinner, it was almost always to a Chinese restaurant. Anything else was a step into the vast unknown. So even as an adult, I've always found it a stressful task to pick the restaurant for a Tsai family night out. My folks enjoy good food, but — God bless them — they like what they like, and a single bad experience might provoke sweeping generalizations about an entire cuisine. Then I end up having to argue that, no, Mexican food isn't all beans and cheese. And, gee, I don't know why Russians eat so many potatoes. But Indian food? I hope you can forgive my parents for thinking there's little more to the cuisine than "curry," that catch-all term — maybe two or three kinds, each a slightly different shade of brown. Rice, bread, a few cubes of meat drowning in a pool of sauce: That's it. Devoted food evangelist that I am, I'd like to bring my parents to Ajanta. With its fancy light fixtures, white tablecloths, and abundant silverware (a big fork and a little fork in every place setting), the North Berkeley institution would be the most elegant Indian restaurant they've ever patronized. More importantly, the food at Ajanta is as refined as it is varied — no two dishes alike. The restaurant is the creation of chef-owner Lachu Moorjani, a self-taught chef who left India and moved to the Bay Area in the 1970s to pursue a career as an engineer. Like many immigrants at that time, Moorjani found the local Indian restaurants to be disappointing — every place served mediocre versions of the same dishes. So, for years, he focused on learning recipes and honing his cooking skills. Finally, in 1987, Moorjani opened a small restaurant in Berkeley called New Delhi Junction, which he sold to open Ajanta in 1993. From the beginning, he decided to focus not on a generic repertoire of curries, but rather on harder-to-find dishes from all over India. In any given month, you might not see a chana masala or an aloo gobi or a vindaloo on the menu. Instead, the bulk of the offerings consist of a rotating list of regional specialties, with three or four new items swapped in each month. During our first visit to Ajanta, my wife and I ordered the chef's tasting menu ($26 per person; $23 for a vegetarian version), an option Moorjani introduced a few months ago. You get mini portions of about eight different dishes — it's a great way to try a wide swath of the menu. So we had tandoori asparagus, which were lightly blackened and coated with spice — an enjoyable change of pace from the oven-roasted versions that are ubiquitous on restaurant menus this time of year. 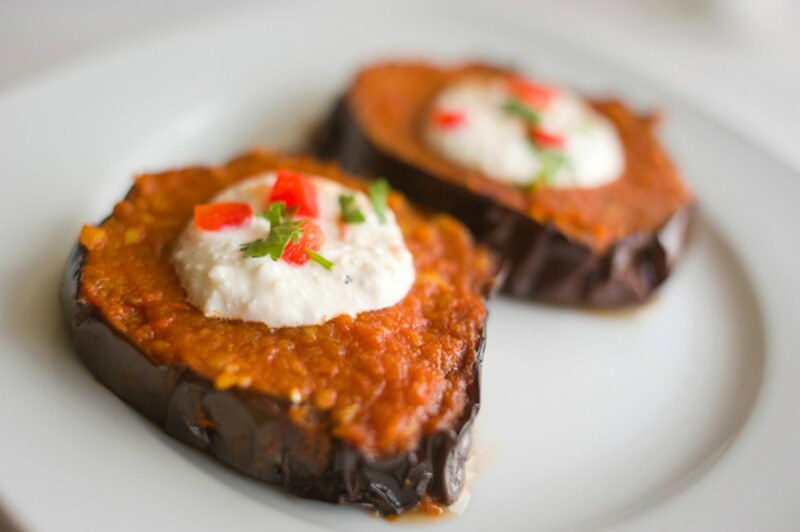 We also had badal jaam — slices of thick-skinned eggplant that were pan-fried until soft and topped with an intensely spicy tomato sauce, which played off the eggplant's natural, luxurious sweetness. And we had some of the best naan we've ever eaten: incredibly light, yet charred and bubbly like a wood-fired pizza. Perhaps best of all was a fish course called seyal machi, an adaptation of a family recipe from Moorjani's native state of Sindh (now part of Pakistan): perfectly cooked ling cod fillets served over an addictive sauce made with lush caramelized onions and various spices. One of the criticisms of Americanized Asian restaurants is that every dish comes in more or less the same sauce. But Moorjani is a kind of sauce connoisseur, creating a unique concoction to complement almost every dish: a spicy-sweet cashew-yogurt sauce to dip your asparagus in; a refreshing mint-cilantro chutney to scoop up with excellent cumin-flecked papadam (thin wafers made of lentil flour). My second visit to the restaurant was just as good. Highlights from the à la carte menu included the dakshini gosht, a braised lamb dish from South India that had all the richness and depth of a good beef bourguignon. And the Hyderabad-style chicken biryani (rice with chicken, cashews, raisins, and caramelized onions) was baked the traditional way, inside a sealed container, resulting in a surprisingly light casserole — not the greasy fried rice that often passes for biryani. To be fair, though, not everyone will love Ajanta. For starters, some might not find the food spicy enough. During my two visits I tried the "medium" and "high medium" spice levels, and (aside from the eggplant) found them both fairly restrained — quite to my taste, actually. Even the "hot" level might not appease the more spice-tolerant. Also, the prices at Ajanta are higher than the average Indian hole-in-the-wall, in part a result of Moorjani's use of organic produce and sustainably raised meat. But given the labor-intensive nature of many of the dishes, I didn't find the prices unreasonable. Ironically (or perhaps not), Moorjani says many of the people who end up feeling confused or unhappy with Ajanta's menu are his Indian customers, who always expect to be able to order the usual curry house classics. But Ajanta has never been about that. Rather, Moorjani says, he wants to show off "the diversity that the Indian subcontinent has to offer." Does that make Ajanta more or less "authentic"? I won't hazard a guess. All I know is that if I ever do bring my parents to Ajanta, I have a suspicion their view of Indian food might never be the same.